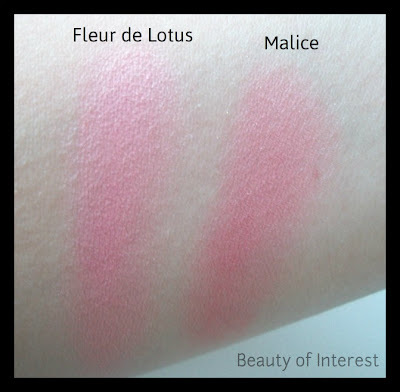 Beauty of interest: Comparison: Chanel Fleur de Lotus JC vs. Malice JC. Comparison: Chanel Fleur de Lotus JC vs. Malice JC. 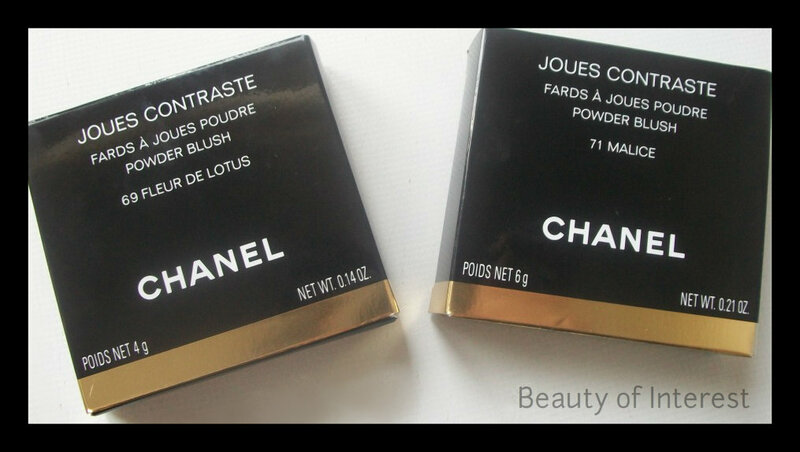 So I have been asked to compare Chanel Fleur de Lotus JC to Malice JC since most people believe they are simular. This post will hopefully answer that question for those people who were wondering about the difference between these 2 JC blushes. I will take this oppurtunity to show the difference between a baked JC blush and the one that has been made the regular way. Chanel Fleur de Lotus was released as part of an Asia exclusive collection. Due to the huge succes in Asia Chanel recently has decided to rerelease that same collection exclusively at Nordstrom in the US and it will a limited edition item again just like in Asia. It's described as a coral/pink color that turns more pink once applied. Fleur de Lotus does contains tiny shimmers but they are not visible at all on the skin and gives a very natural flush to the cheeks. 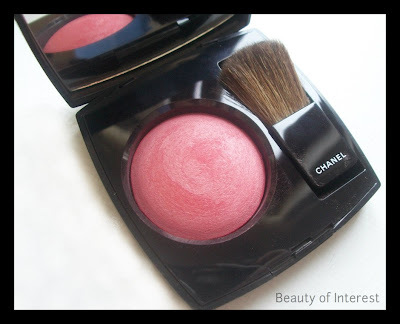 This blush is a baked JC (the swirls in the blush gives it away) so the texture is harder but still smooth. 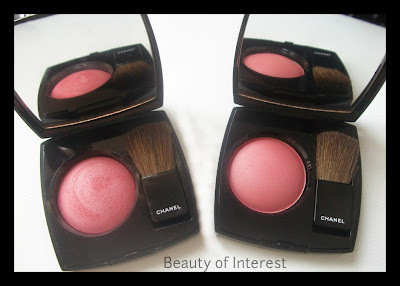 Pigmentation is decent but not as good as the regular non baked JC blushes. Malice is one of the newest JC blushes that has been released this year. It's one of the US versions so this means the blush has not been baked. 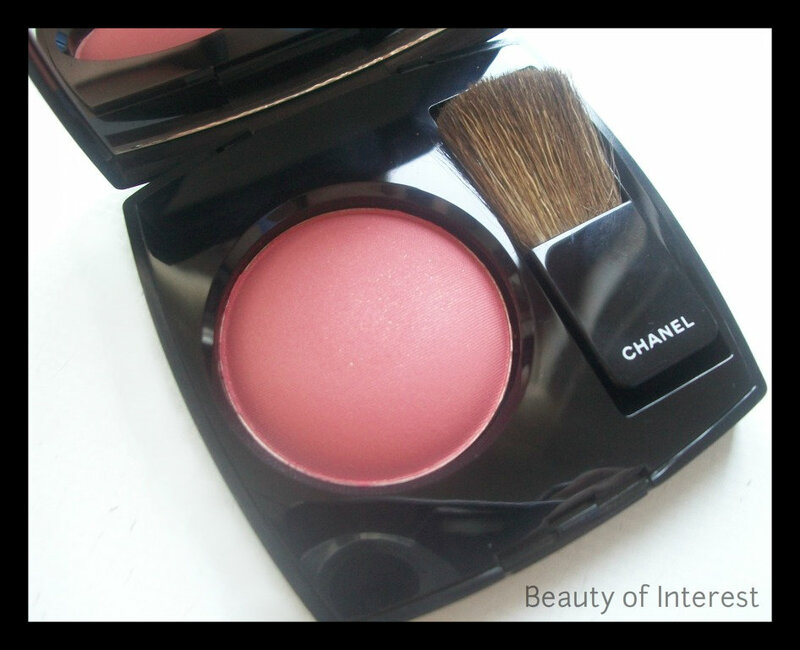 Texture is smooth and more powdery unlike the baked JC's and it definitely more pigmented than Fleur de Lotus. Malice leans more to the peachy pink shade and the perfect color to give a fresh glow to your face. I haven't seen Malice released in Europe or Asia yet so I can't say for sure this blush will be readily available everywhere. Here are some swatches to show you how they look like on the skin. Hope this was somewhat helpful and I'm curious about your opinions on these Chanel blushes. Do you like them in general or not? I would love to know your thoughts on them.